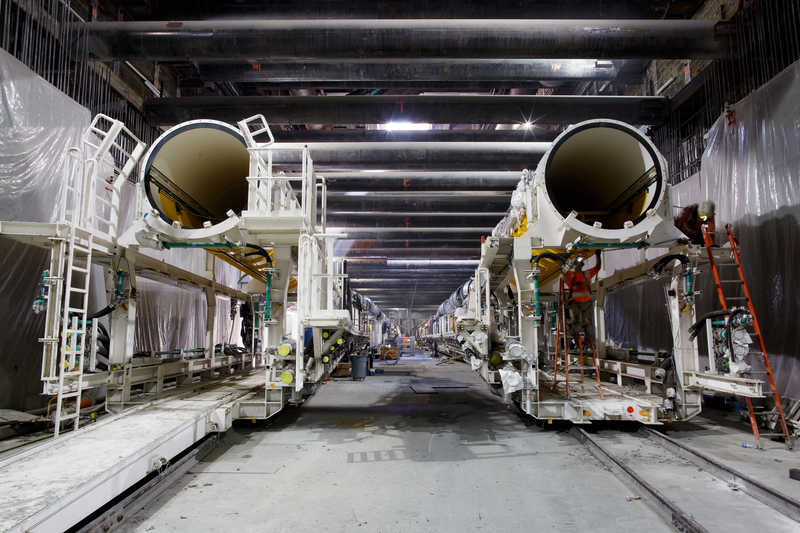 The above photographs were taken earlier this month at the Purple Line Extension’s Wilshire/La Brea Station, where in the coming weeks two giant machines are set to begin tunneling their way east toward Wilshire/Western Station. 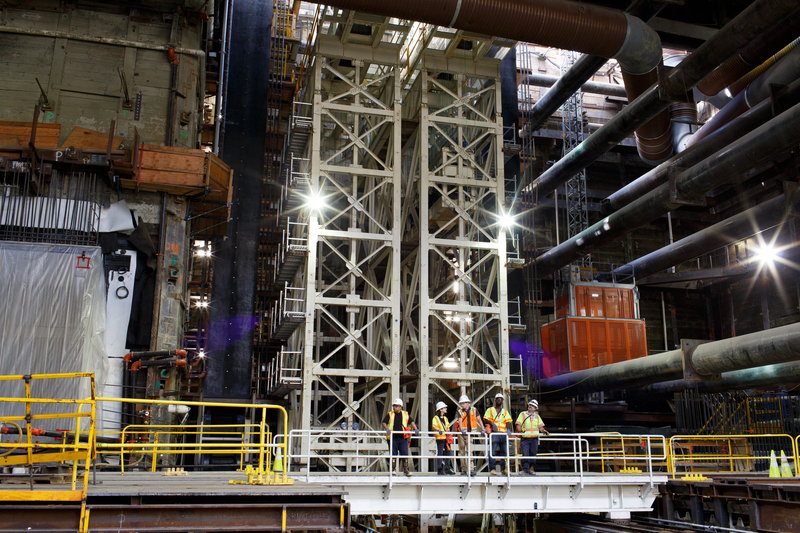 This is huge: there has been talk of a subway to the Westside for decades — and now tunneling will finally begin. 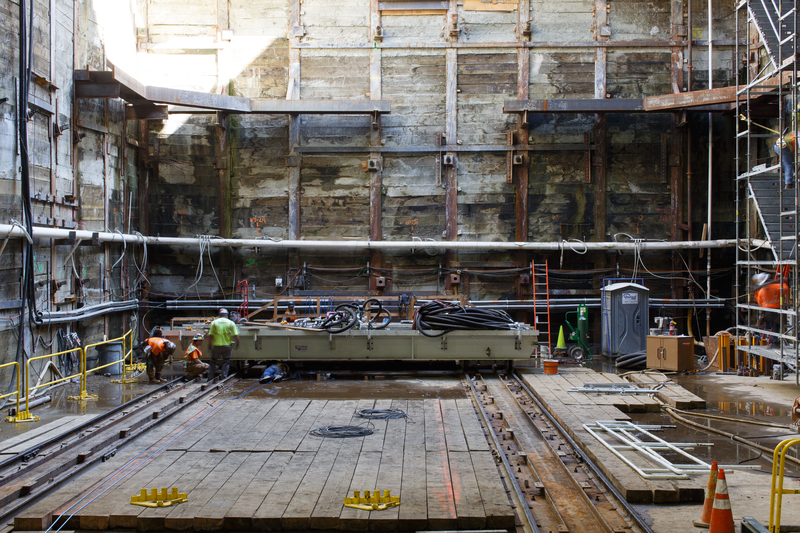 The photos below show the massive scale of the construction work, which is taking place largely out of public view below traffic on Wilshire Boulevard. 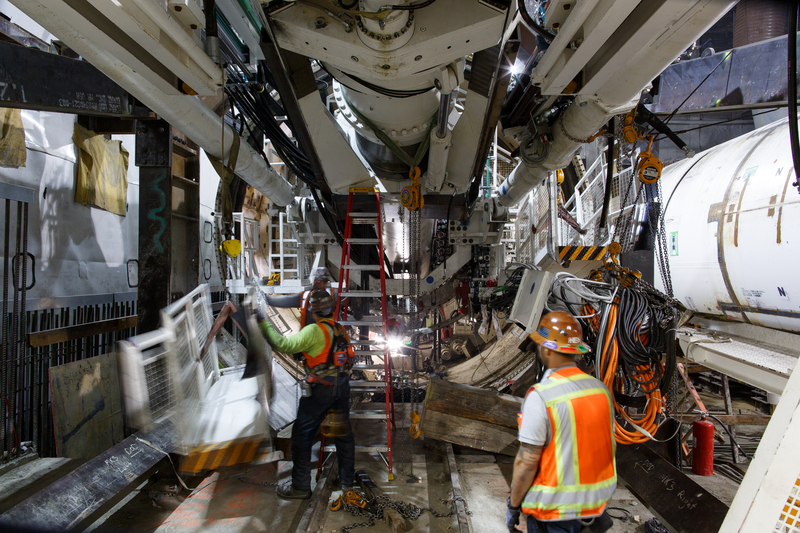 To this point, the big work involves excavating stations at the three stations on section one of the project, Wilshire/La Brea, Wilshire/Fairfax and Wilshire/La Cienega. 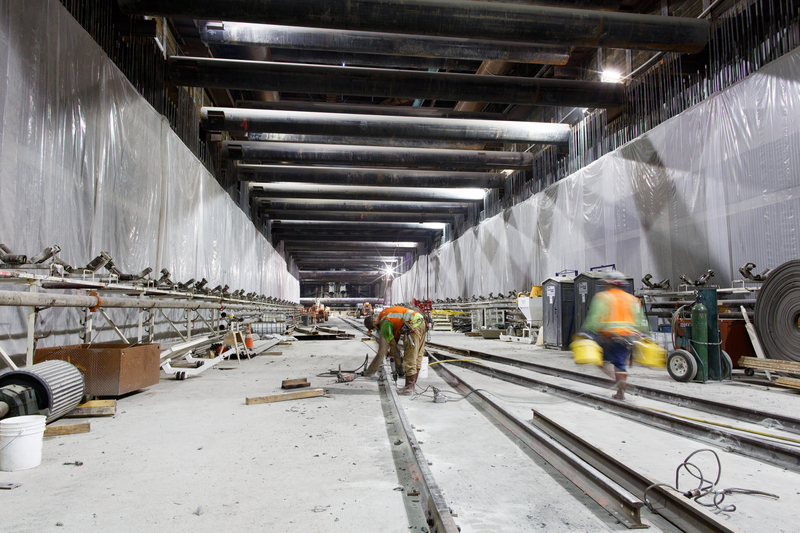 The Purple Line Extension is being constructed in three sections. The first two sections between Wilshire/Western and Century City are under construction with forecasted opening dates of 2023 and 2025, respectively. 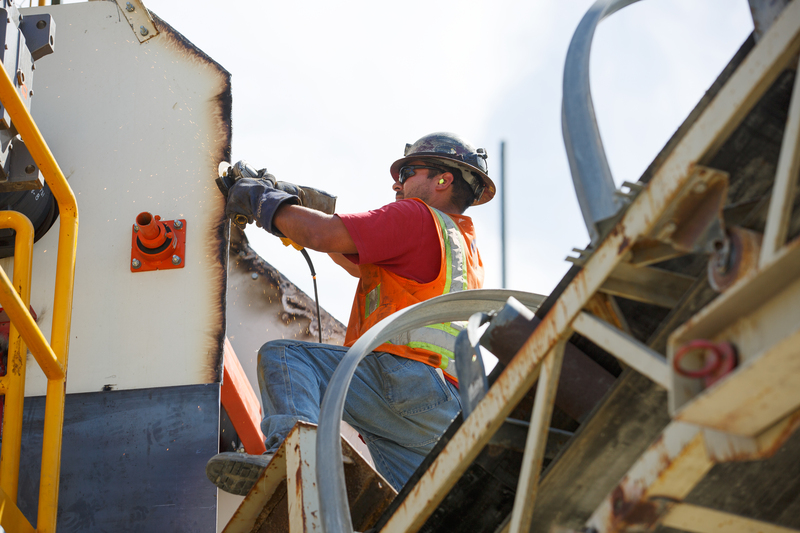 Early work on the the third section — to the Westwood/VA Hospital — is scheduled to begin in 2019 with an opening date of 2026. Enjoy the pics and feel free to use them on your media site, blog or social media with the photo credit going to “LA Metro” — but no commercial use please. Full-res versions can also be downloaded from this gallery on our SmugMug site. 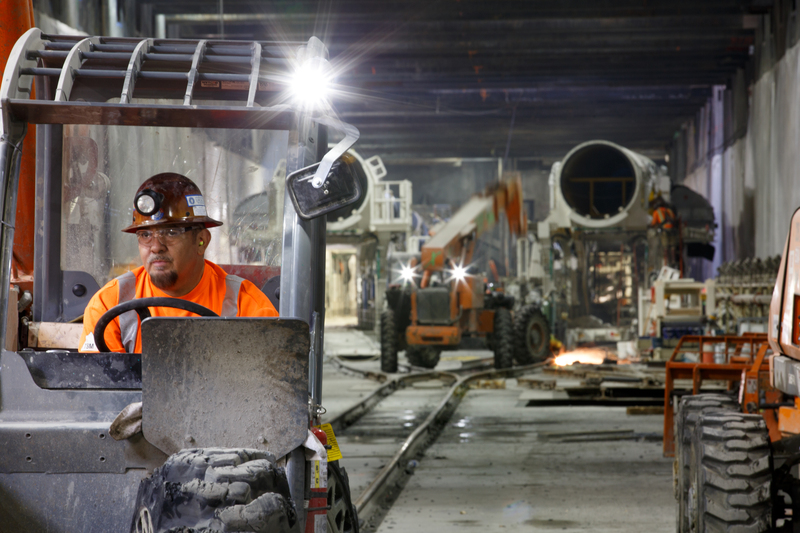 The Purple Line Extension is funded by voter-approved Measure R and Measure M sales taxes as well as federal grants. The Purple Line Extension project home page also has a wealth of info. Will two parallel tunnels be dug at the same time? Morris, the two parallel runnels will be dug at the same time! 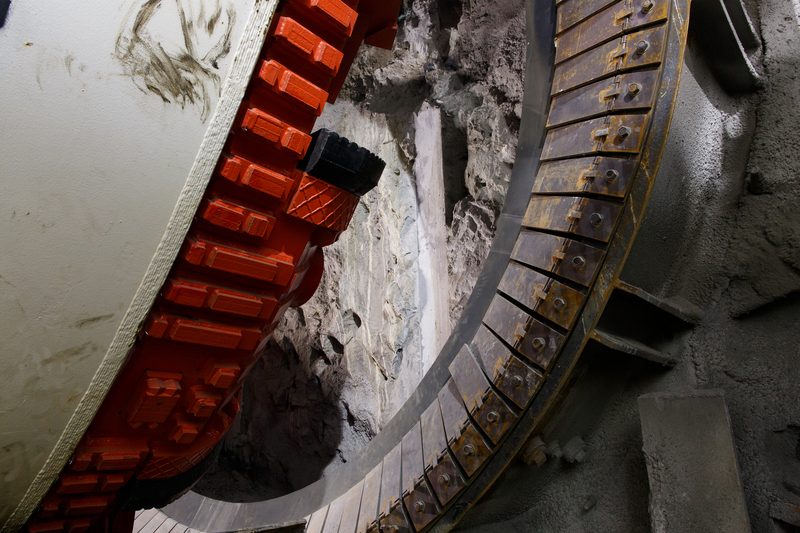 One TBM will lead the way while the other one trails approximately 150 feet behind. I love it that this project is getting started for real! The way things are going, it seems like this project might get finished before the Regional Connector. 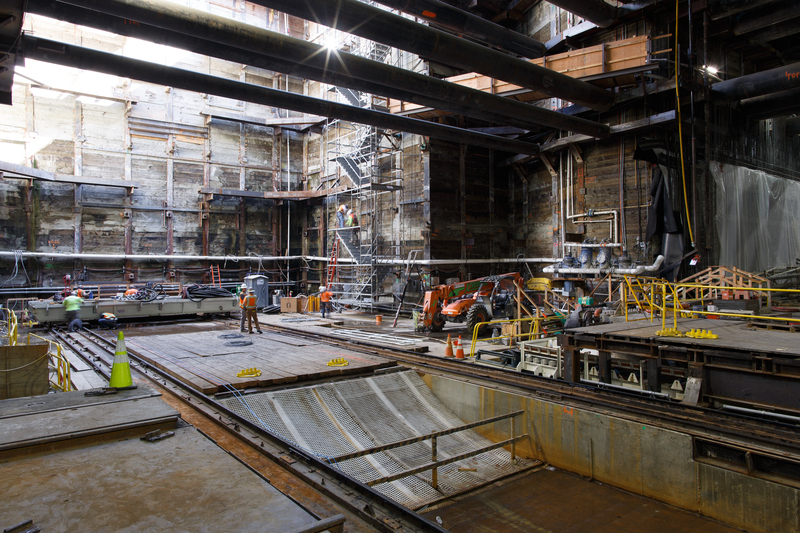 La Brea station looks fully excavated already. That would be great for the Purple Line. Or alternatively, a bummer for the Regional Connector. I remember the subway planning fiasco 20+ years ago: the Red Line media circus, NIMBYs fighting the subway’s extension, the route being diverted down to San Vicente (to “avoid methane”), and then the project getting canceled completely. How times have changed. Thank God we have a good, straight route now. The only shame is that this could’ve been completed a long time ago. 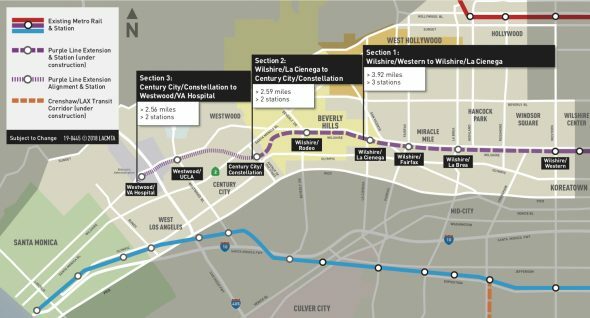 Please get the subway to West L.A. built by 2026. 8 years is a long time, but I’m willing to wait that long. Looks great, when does phase one tunneling start? Has metro taken delivery of the phase three TBMs?